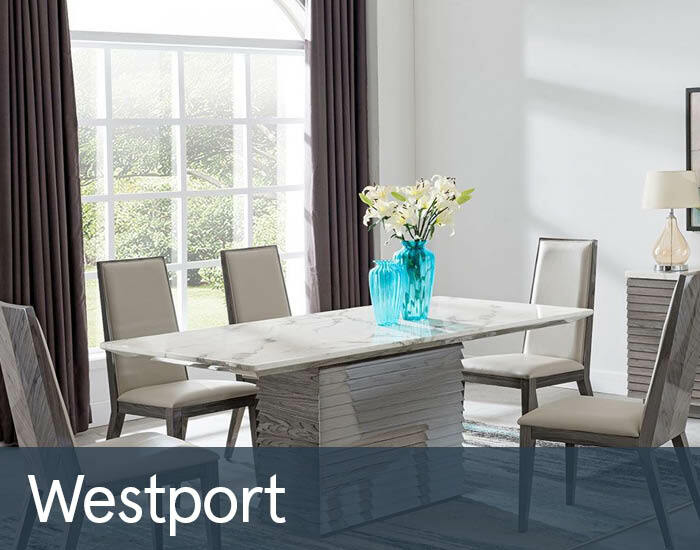 Westport is a luxurious collection of contemporary marble and high gloss furniture that will enhance even the most sophisticated of living and dining spaces. Crafted from quality marble in a fashionable white Carrara with grey colouring, it’s sleek high gloss louvred plinths will make a real designer statement. Add to that its subtle rounded edges and polyurethane wipe-cleanable surfaces and you have furniture to complement your everyday living.